The 2018/19 edition of ALRS Volume 6 Part 1 contains the latest information received by the UKHO. All reasonable effort has been made to ensure that this Volume contains all of the information obtained and assessed by the UKHO by the date of publication. 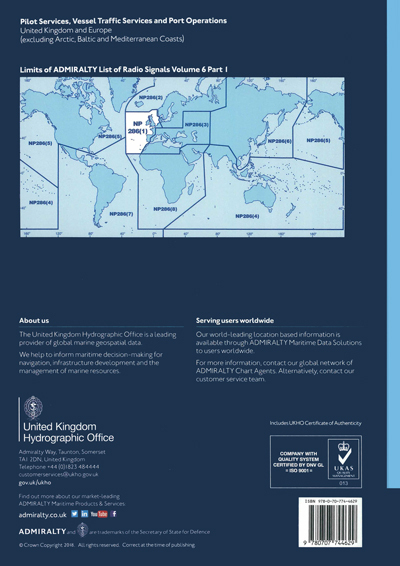 Information received after that date will be included in Section VI of the Weekly Edition of ADMIRALTY Notices to Mariners. This edition supersedes the 2017/18 edition which is cancelled. 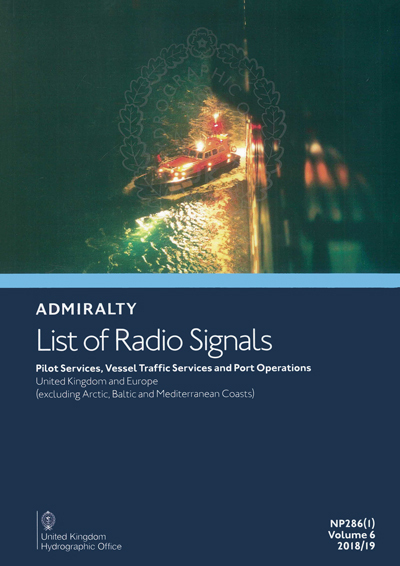 ADMIRALTY List of Radio Signals (ALRS) provides a comprehensive source of information on all aspects of Maritime Radio Communications. 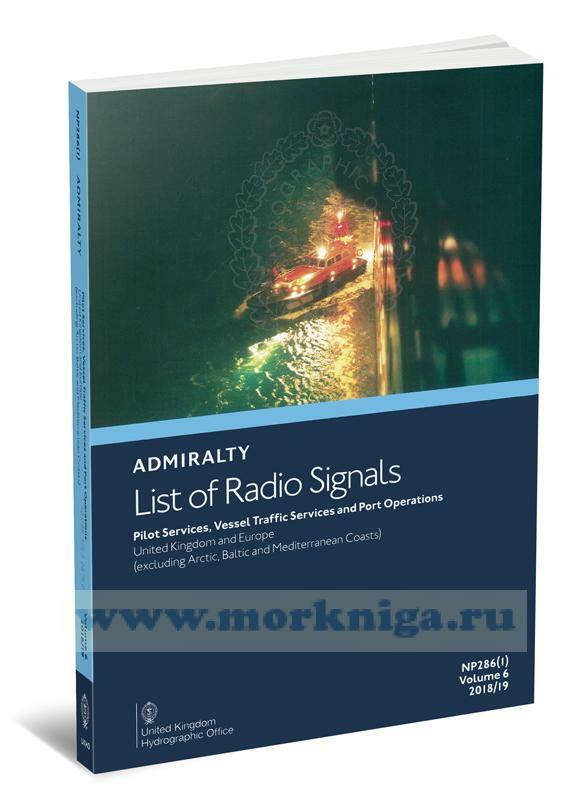 How to report new or suspected dangers to navigation or changes observed in aids to navigation.